Pedicabs and Your Toes | When Do They Serve The Wine? Every week, I do cartoons of all types, on all subjects. Political, relationship, silly, and word play. Maybe this one is all of the above, you be the judge. 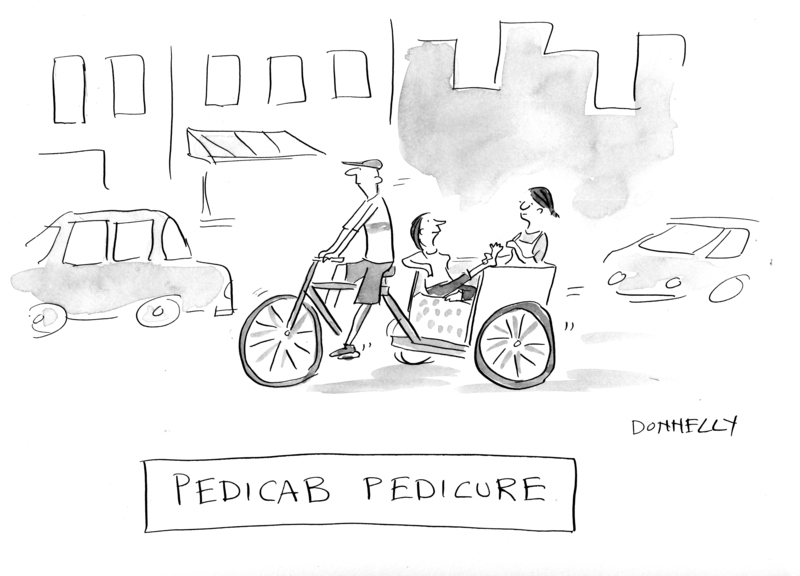 This entry was posted in Random but Relevant and tagged Cartoon, pedicab, pedicure, spring. Bookmark the permalink. While I find it highly unlikely that I will solicit a pedicure while in a pedicab, I can definitely envision being served a nice glass of pediCabernet while being biked about. More my style. Me, too! Never ridden in a pedicab, nor had a pedicure. 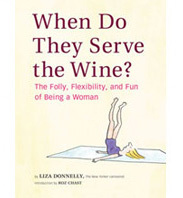 But wine goes with almost everything! Ah, New York in all it’s glory!